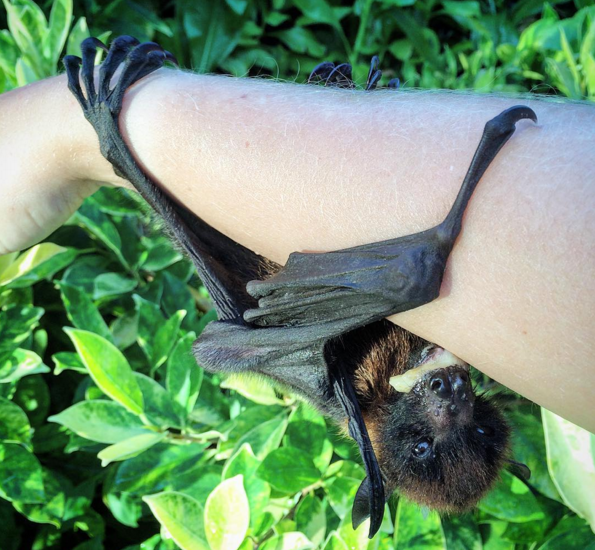 A baby fruit bat was discovered abandoned on a low branch of a tree. Its eyes were covered with sand, as if it was fallen off mother’s belly. 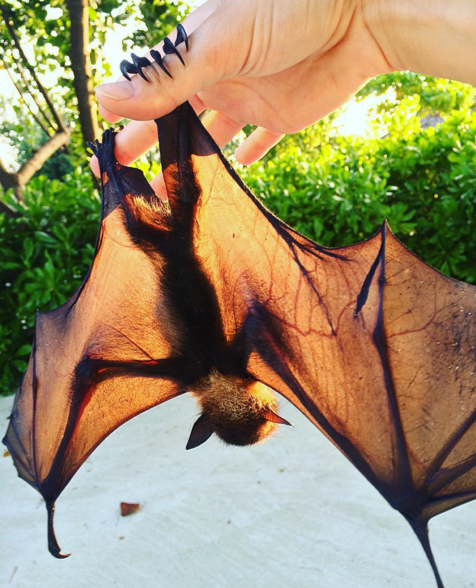 When mother bat flies it usually carries baby bat under its belly. 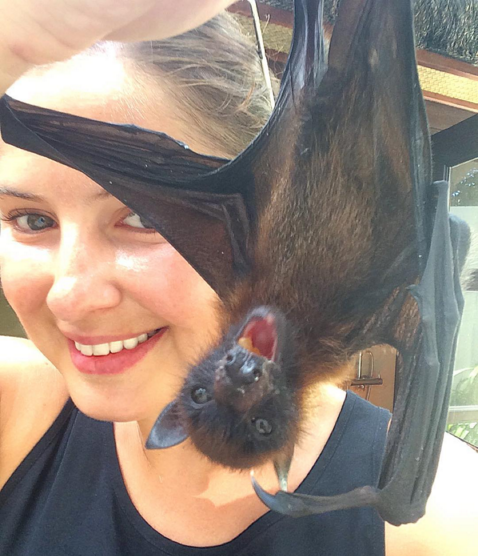 Accidents can happen, but for fruit bats it does not happen often. Even the smallest babies are clever in their natural survival skills. Baby falling off flying mother is very rare. 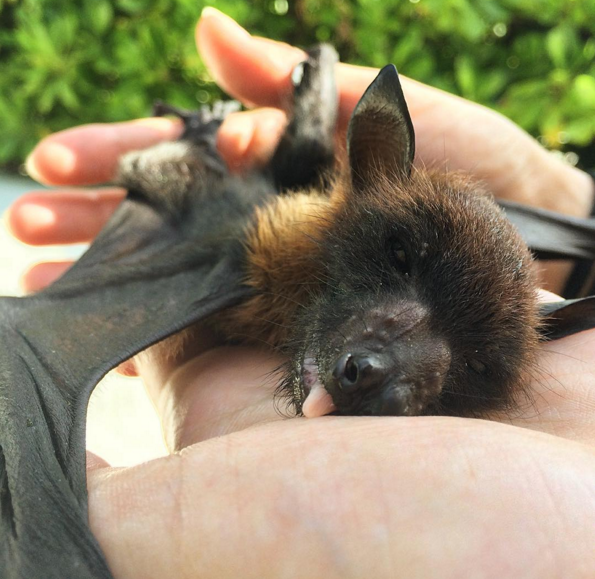 But, the little baby bat did not end up so unlucky. It was spotted by a keen animal lover on holiday. Anastasia not only picked it up but also devoted much of her holiday time taking care of the little Freddie. Anastasia is an animal lover, keeps four Siamese oriental cats at her London apartment. She lives in United Kingdom. Anastasia was excited to meet cute little Freddie, for her it was like an unusual surprise. Fruit Bats commonly eat fruits, it is their favourite food. You could often spot them on fruit bearing trees, especially banyan trees. Instead of perching on trees bats grasp branches and stay hang down. The little Freddie did not have to struggle to get food, a collection of fresh fruits were always beside. 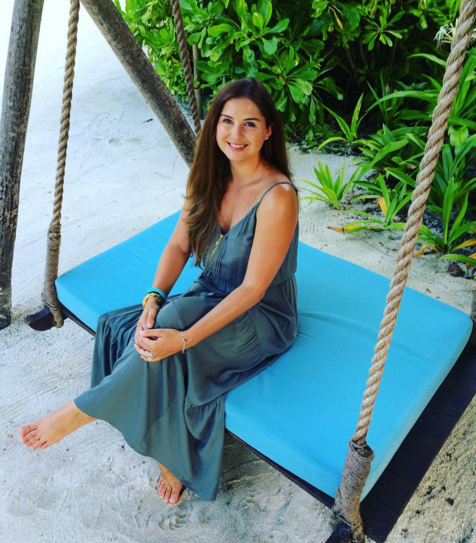 After few weeks Anastasia ended her holiday at Four Seasons Kuda Huraa Maldives. But, before that she handed over her little Freddie to the resort marine biologist who promised to take care till it could fly away, to meet her mother and say “mom, I am back. I met a kind human being who took care of everything”. To see more pictures follow Anastasia on Instagram.